The pleasure of enjoying and serving wine. Wine parties are a popular way to celebrate just about anything from birthdays and anniversaries to holidays. 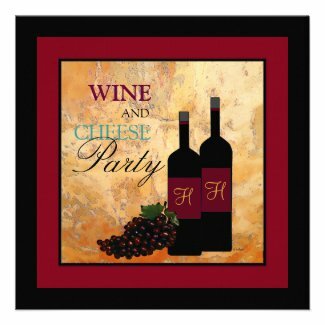 Planning for a wine party means choosing the foods and the wines along with picking the invitations. Suggestions and help are right here for you. The first thing you want to get established is the type of party you want to have. 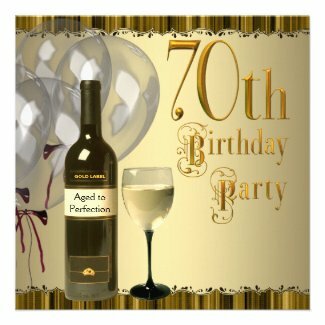 A traditional birthday party will have different choices for menus and wines than a wine and cheese holiday celebration. You will also need to determine the timing of your party which will make a difference in your menus and wine choices as well. Consider these choices: a luncheon party, an early evening party also refer to as a cocktail hour party, a dinner party or a dessert party. Each of these will also dictate different menus, wine choices and invitations. If you are planning a meal for your party, such as a luncheon or dinner, you can have different wines to serve with different parts of the menu. For example: with a dinner party, you might want to serve white wine with the appetizers and salad, then red wine with the main course and a sweet wine or Champagne with the dessert. For a luncheon, the menu is typically lighter foods where white wine goes better. If your party isn’t around a meal, then offering a choice of different wines is appropriate. Let your guests choose what they prefer to drink. When you serve alcoholic beverages of any kind, including wine, always provide food of some kind. Bread stuffs and crackers are good, so ignore calories at this point. For wine and cheese parties, include bread and crackers as well. Keep your menu items to those that can be handled with the fingers. Small sandwiches, chips and dip even pretzels are best. Your guests will have their wine glass in one hand so they will only have the other hand free to eat. So make things easier for them and yourself. When you serve desserts, like a birthday cake, sweet wines go best. Often these wines are called Dessert Wines. Makes sense, huh? Champagne is also a good choice to go with desserts. Dessert wines are white or rosé. If you want to serve drier red wines, consider chocolate as your dessert. Red wine and chocolate make an amazing combination. Remember that wine will complement food and vice versa. Matching the types of wine with the types of food with help enhance both. But, there are no hard and fast rules. Choose the wines that you enjoy most and those your guests will enjoy. Your wine party will be a hit when you serve what everyone enjoys. But, try out new wines, too. You and your guests just may discover a new variety they had never considered trying before. And enjoying wine is what your wine party is about. Loving these suggestions for a wine party and I am always picky about my invitations. I want my guests to know what to expect when they arrive, so custom invitations are the way to go! © 2016 All About Wine. Theme by Solostream.